Hidden Brains recognized as ‘The 10 Best Enterprise Mobility Companies to Create a Mark in 2018’ in the Mirror Review Magazine. The article covered unique enterprise mobility offerings of the company along with a brief on Mr. Vishal Chhawchharia – the leading face of new-age entrepreneurship & digital world. Hidden Brains featured in the list of ‘10 Fastest Growing Mobility Companies 2018’ by The Silicon Review Magazine. Our Founder, Managing Director & CEO, Mr. Vishal Chhawchharia mentioned about the core objectivity to deliver robust, scalable, viable and quality technology solutions for diverse industry verticals. 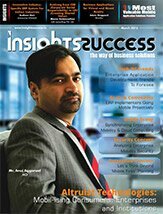 Insights success magazine included Hidden Brains in the list of ‘20 Most Valuable Mobile Application Solutions Provider’ in its March 2016 issue. 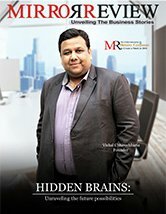 Path to success and solutions offered by Hidden Brains were best explained by our Co-Founder, Managing Director & CEO, Mr. Vishal Chhawchharia, who was featured in the magazine. 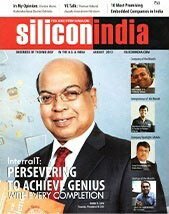 Hidden Brains has been featured in the cover page of Silicon India of August 2013 edition under ‘Company Spotlight: Mobile’ category. Mr. Vishal Chhawchharia, Co-Founder, Managing Director and CEO of Hidden Brains gave valuable insights into running a successful company. He was covered in this globally 4th ranking magazine of IT News & Media category. World’s top technology magazine entitled Hidden Brains as ‘The Company of the Month’ in its August 2013 issue. 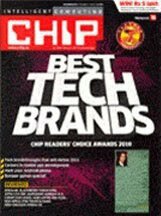 Commitment to deliver excellence and outstanding performance of Hidden Brains has been well recognized by tech news magazines. Hidden Brains innovative approach to work is well explained by Mr. Vishal Chhawchharia, Co-Founder, Managing Director and CEO. Hidden Brains won WQC (World Quality Commitment) award in 2010 at an event held in Paris. 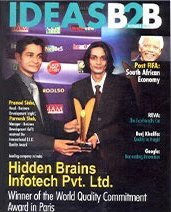 Our company made it on the cover page of Ideas B2B magazine highlighting our achievements as an IT industry. Our Business Development Head - Mr. Pramod Sinha and Business Development Manager - Mr. Parmesh Shah represented the company at the award function. Mr. Pramod Sinha, Business Development Head of Hidden Brains gave his opinion on an article based on ‘Careers in Mobile App Development’ in the popular CHIP magazine. This article mentions about different mobile platforms used by people, future and scope for development in the mobile app development sector. 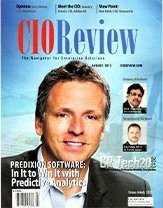 Hidden Brains was featured in the January 2011 issue of the Smart Techie magazine's ‘Most Promising Mobile App Companies’. 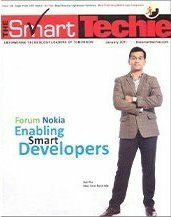 Our Co-Founder, Managing Director & CEO - Mr. Vishal Chhawchharia, COO & Director-Sales Mr. Ram Chhawchharia gave their valuable quotes for the coverage that got space in Smart Techie magazine.